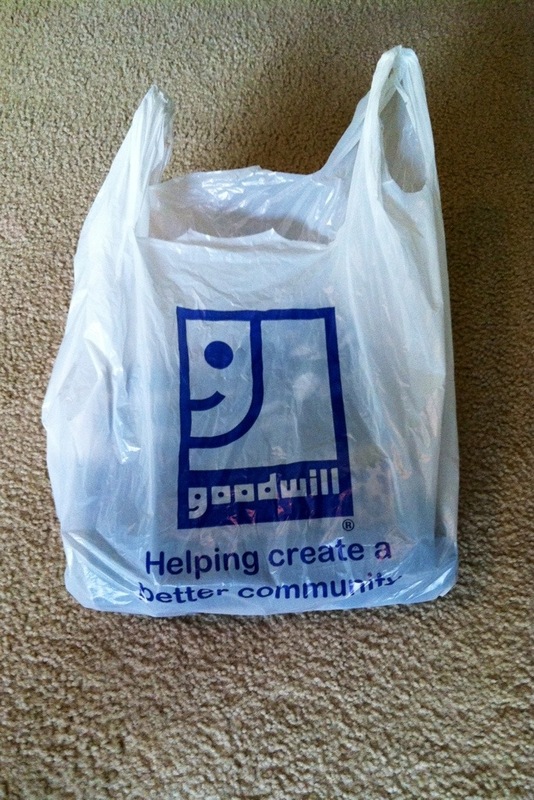 After my recent trip to my local Goodwill, I don’t know why I haven’t been thrifting and shopping at Goodwill forever! Seriously, you should consider being a thrift store shopper, if you aren’t already. I was amazed at what I found for $10 or less. Be patient. Do not go to a thrift store thinking you will be in and out. You will have to search and dig through racks and bins. In my opinion, the search is half the fun, besides finding amazing items for next to nothing! Plot out and strategize your shopping. Google search thrift stores in your area. You might think you would have better luck in upscale neighborhoods, but I have found the opposite to be true. Go shopping mid-week. Weekends are the busiest time for all retail stores, thrift stores such as Goodwill are no exception. I don’t like to fight crowds or wait to browse racks. The earlier in the day you go, the better. New items will have been put out and the store will be more organized. Use a shopping cart or basket. Even if you aren’t 100% sure about something, put it in your basket. I missed out on an awesome purse today because I was admiring it from afar. You can always put things back. I hope the woman who bought the adorable chevron bag appreciates it! Think big picture and long-term, not right now. Look for items for all seasons and occasions. Just because it is summer, doesn’t mean you shouldn’t be looking at jackets or sweaters. Remember style is forever, fashion is temporary. I try to find items that are timeless and will go with whatever the current trend is, not that I am very trendy. Bring your smart phone, look up labels and brands. Find out if you are getting a good deal or search google images for inspiration and ideas if you aren’t sure how to wear something fabulous you find. In my case, I used my phone to take selfies in the dressing room to help me critically look at what I was considering buying. 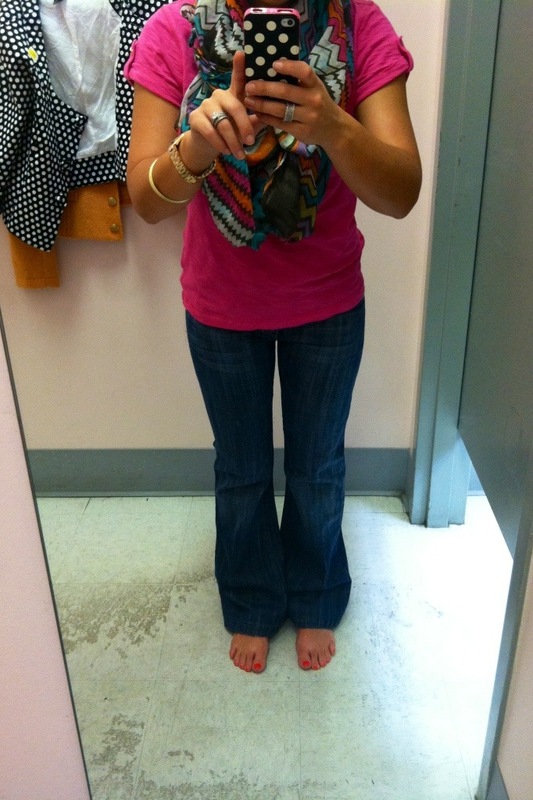 Take a picture to help you better see your Goodwill finds. 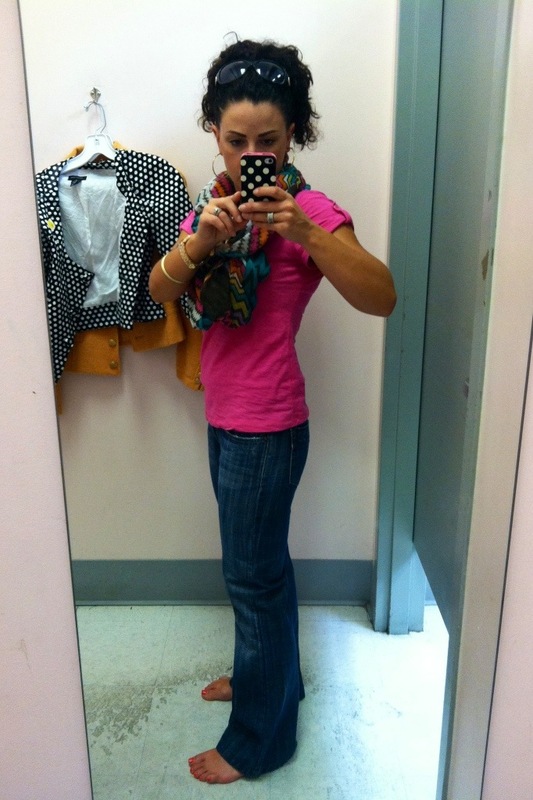 Try on every item before you buy it. Look at yourself from all angles, move in it, walk around, give yourself a bear hug. Make sure the fit is good, seams are in place, no stains, rips, or holes. If you can, bring a friend that will be honest and the voice of reason or use your phone like I did! If you do have a shopping partner, don’t go with someone who wears the same sizes as you, it’s no fun competing over the deals! I did wash my feet when I got home! Don’t feel like you have to buy something. It is perfectly fine to walk out of a store without buying anything. Have fun! Do not make an impulse buy because something is only a few dollars. You can always go back in a few days or weeks and the store will literally be different! I ended up going home with two items. I tried on many more, but I did my best to follow my personal guidelines and think I did well. I bought a pair of Joe’s Jeans for $6.99 that fit like a glove. 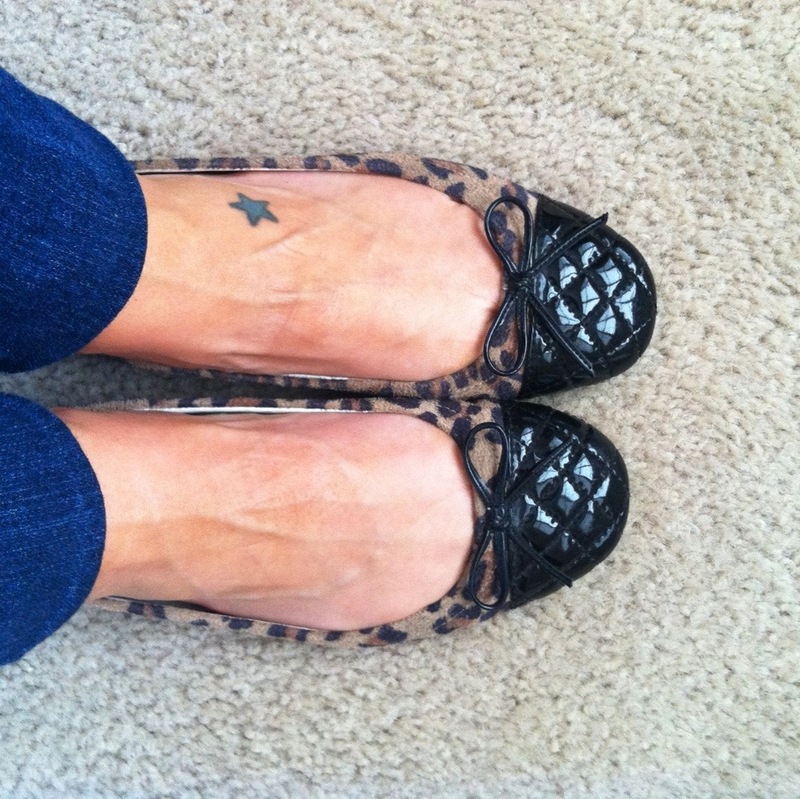 The second item I purchased was an adorable pair of leopard print ballet flats with a bow and quilted patent leather cap toe. They appeared to be practically new and were only $5! What amazing items and deals how you found thrifting? Please share! I love thrift shopping! Once I discovered I could buy hard cover books in practically new condition for $1 I was hooked!! 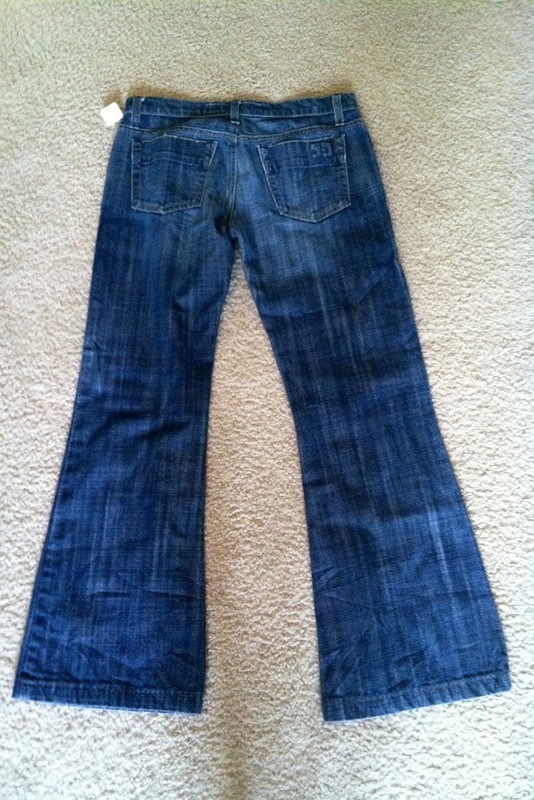 Cute jeans! I love thrift shopping too! Great finds, I especially like the shoes! Awesome! Do you have any thrifting tips? I totally agree! I forgot to mention the importance of the location of the shops! Thank you!